- The process of making decision plays a crucial role in communication and leader-ship for operational, managerial, and strategic projects. - A few key concepts about organizational structure will help our discussion of MIS decision making tools. - At the operational level,employees develop, control,and maintain core business business required to run the day-to-day operations. -Considered as structured decisions, which arise in situations where establish processes offer potential solutions. - At the managerial level, employees are continuously evaluating company operations to hone the firm's abilities to identify, adapt to, and leverage change. - It is considered semi-structured decisions, they occur in situations in which a few established processes help to evaluate potential solutions, but not enough to lead to a definite recommended decision. - At the strategic level, manegers develop overall business strategic, goals, and objectives as part of the company's strategic plan. - It is highly unstructured decisions, occurring situations in which no procedures or rules exist to guide decision makers towards the correct choice. - Transactional information encompasses all the information contained within a single business process or unit of work. Primary purpose is to support the performance of daily operational or structured decisions. - Online transactional processing (OLTP) is the capture of transaction and event information using technology. - A transactional processing system (TPS) is the basic business system that serves the operational level (analysts) and assists in making structured. - Input for a TPS are source documents. - Analytical information encompassess all organizational information, and its primary purpose is to support the performance of managerial anlysis or semistructured decisions. - Online analytical processing (OLAP) is the manipulation of information to create business intelligence in support of strategic decision making. 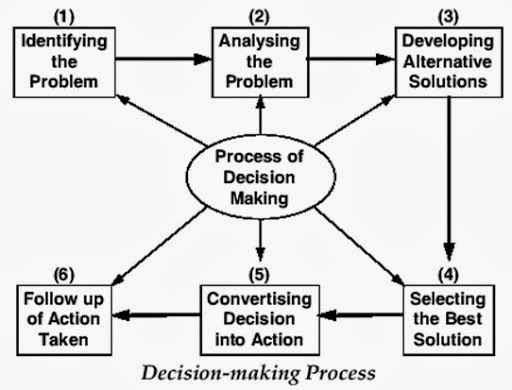 - Decision support systems (DSSs) model information using OLAP which provides assistance in evaluating and choosing among different course of action. What-if analysis - checks the impacts of a change in a variable or assumption on that model. Sensitive analysis - a special case of what-if analysis, is the study of the impact on the other variables when one variables is changed repeatedly. Goal-seeking analysis - finds the inputs necessary to achieve goal such as a desired level of output. Optimization analysis- an extension of goal-seeking analysis, finds the optimum value for a target variable by repeatedly changing other variables. - An executive information systems (EIS) is a specialized DSS that supports senior-level executives and unstructured, long-term, nonroutine decisions requiring judgment, evaluation, and sight. - Visualization produces graphical displays of patterns and complex relationships in large amount of data. - A common tool that supports visualization is a digital dashboard. Consolidation- the aggregation of data from simple-\ roll-ups to complex groupings of interrelated information. Drill-down- enables users to view details, and details of details, of information. Slice-and-Dice- the ability to look at information from different perspectives. - Artificial intelligence (AI) stimulates human thinking and behaviour, such as the ability to reason and learn. - Intelligence systems are various commercial applications of artificial intelligence.